Are you ready to get cozy and watch all of the Christmas specials on television this year? CBS recently released their Christmas specials schedule and it features some pretty awesome and nostalgic specials this year. Who will you watch these classics with? Here is a list of the CBS Christmas specials and when to catch them on TV. Which Christmas classic are you most excited to watch this holiday season? This year’s Thanksgiving Day Parade on CBS will start at 9 am ET on November 22, 2018. This year marks its 58th anniversary. It will be hosted by Kevin Frazier and Keltie Knight from Entertainment Tonight. They will also air certain parts of the 92nd annual Macy’s Thanksgiving Day Parade. If you are starting to shop and get into the Christmas mood on the day after Thanksgiving, embrace the wonderful Frosty The Snowman cartoon. Catch the original at 8 pm ET and Frosty Returns at 8:30 pm ET. On Saturday, November 24 at 8 pm ET Robbie The Reindeer: Hooves of Fire airs. Robbie, who is voiced by Ben Stiller, must compete in the Reindeer Races if he wants to be part of the sleigh team for Santa on Christmas Eve. Right after at 8:30 pm ET, they will air Robbie The Reindeer: Legend of the Lost Tribe. In this special, Robbie the Reindeer has to battle the evil Blitzen, who is voiced by Hugh Grant. 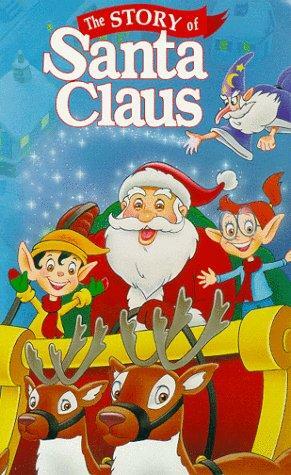 This beloved animated musical shares the story of Santa Claus. It will air on November 24 at 9 pm ET. Listen for the voices of Ed Asner, Betty White, and Tim Curry. Read on to the NEXT page for even more Christmas specials and their air dates and times! The post CBS Is Airing All Of The Christmas Classic Movies – Here’s The Schedule appeared first on Do You Remember?.